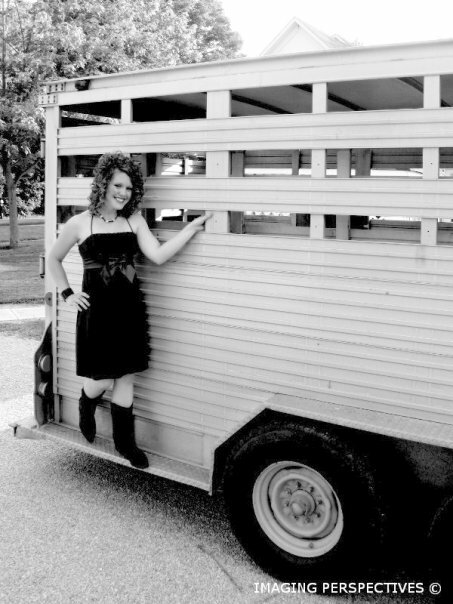 My website, farmgirlwithcurls.com shares farming and the country as a lifestyle and way of life. I share the hard work and dedication it takes to make a business and ones dreams a reality. I share spiritual inspirations and personal experiences on setting and achieving goals. I share the stories of others in achieving their career aspirations no matter the cost. I am a farmer’s daughter with a degree in journalism, writing stories on country as a way of life about simplicity and the hard work it takes to make your mark in the world. My name is Lauren and I am not just an ordinary girl from Ohio. I live in Somerville, just north of Cincinnati, with my dad, mom, piglets and seven cats. Little did I know this was in my future when my dad grew his passion for raising pigs into a business in the 1970’s. He is a first generation farmer who has faced more hardship than I can begin to imagine going through. Some days I wonder why God made me the daughter of a pig farmer and it is through the heartaches and prayers we cling to when I realize exactly why He did. I hold close to vivid memories of my dad working day to night and having me come out to work with him on the farm as a child. I remember the summers seeming endless as my little brother and I showed pigs at the county fair. We spent our summer days walking the pigs down our back country road, chasing after them through the fields and resting our heads on their bellies for a nap at the end of the day. The pigs were entertained by chewing on our rubber boots and begging us to sneak them a potato chip after their walks. Those summers have come to a close only to open up a new chapter of my life as I take care of the hundreds of piglets born every week. I have been fortunate to have my dad pay me for my farm work since high school. I don’t take for granted being able to walk out my door into my barn yard each morning. Someday I will move out, but for now I am delaying my adult life and cherishing time with my parents (no, its not just to save on rent haha) I get to see my dad and brother each day as I care for 1,200 mother pigs, called sows, and their piglets. We breed the sows and every other week around 110 sows give birth, called farrowing, to a litter of 10 to 12 piglets. It’s my job to care for them as the farrowing house manager. 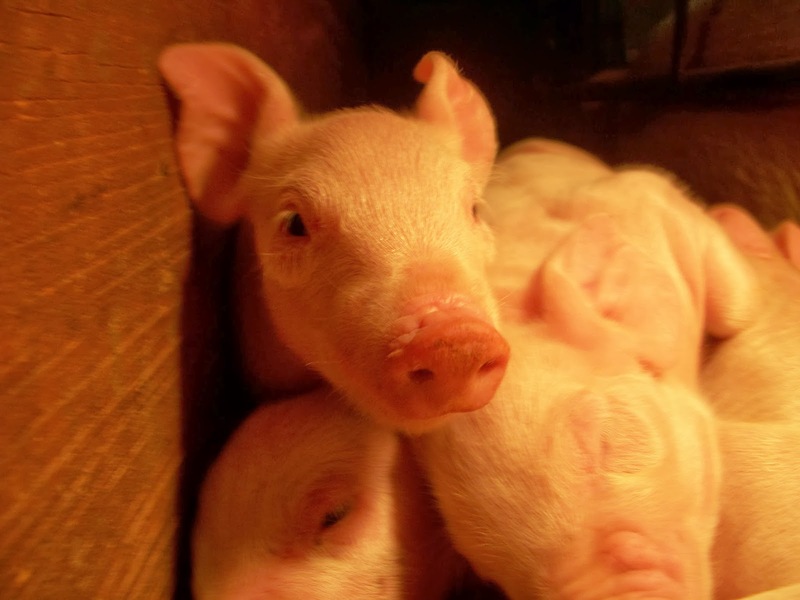 Once the piglets are three weeks old or 12 to 15 lbs. they are big enough to stop nursing, called weaning, from their mother. They are then delivered to a farmer in Wilmington to stay there until they are ready to go to market. I am not sure of my life goals as a farmer, but I know I am with my family farm right now for a reason. I developed a passion for writing and public speaking in high school on the FFA agricultural communications team. I graduated from Miami University with a Bachelor of Arts in journalism and women’s studies and a Master of Science in family studies. One might ask why I am still on the family farm, so I created this blog to write my experiences in hopes you will learn why. Just as my Great Aunt Dee share stories to me about homesteading through the Great Depression, I hope to share stories with others about family farming and my bond with our animals. Thanks for joining me and my piglets as we share our adventures one oink at a time! Watch a video from when I was Ohio Pork Industry Queen!